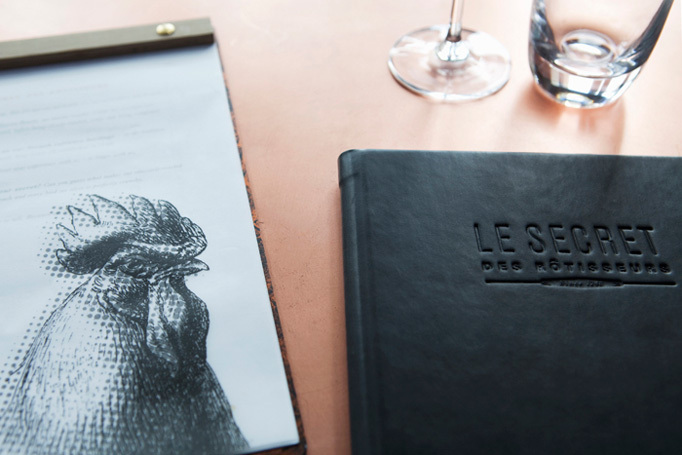 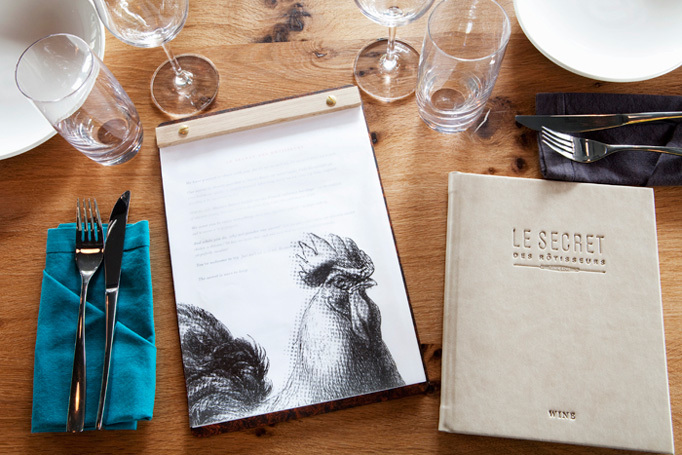 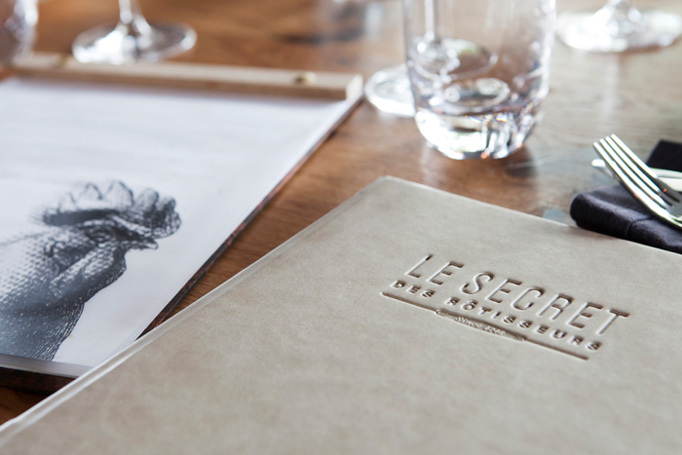 Le Secret des Rôtisseurs is a restaurant in London’s Canary Wharf with a focus on bespoke French rôtissoires—traditional in France, but new to the UK. 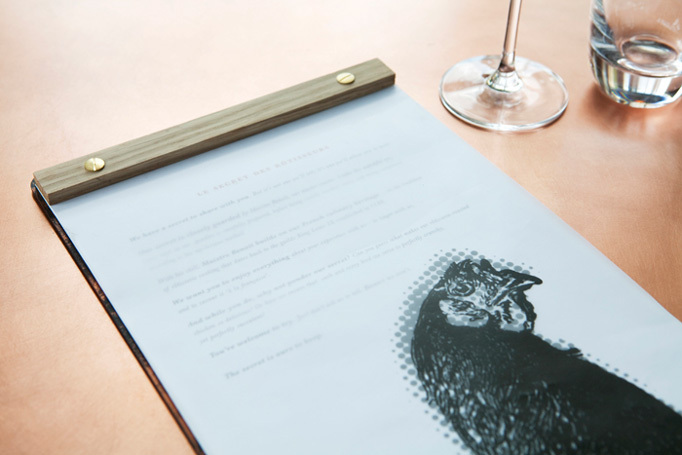 The branding expressed through the menus reflects the sophisticated yet light-hearted dichotomy through modern textures and typefaces combined traditional materials, elements, and applications. 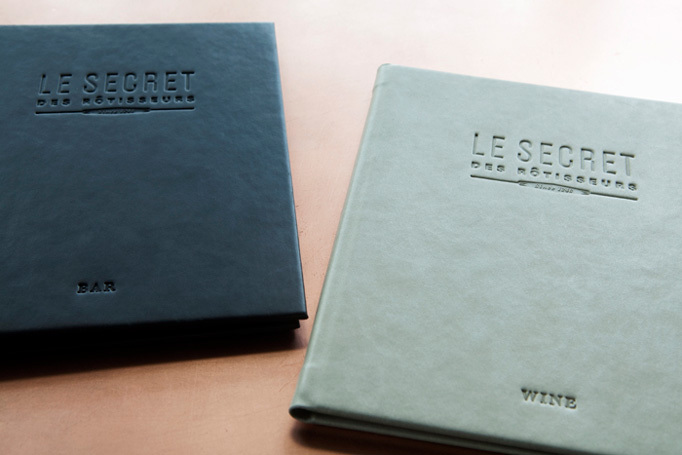 Visit Le Secret des Rôtisseurs.